BRUSSELS (AP) — EU leaders grapple this week with two of the biggest threats to the entire European project: the messy divorce with Britain and their failure to share responsibility for people seeking sanctuary or better lives in Europe. Their summit in Salzburg, Austria, starting Wednesday evening launches a series of monthly meetings that runs to December aimed at overcoming key differences with Britain, as its departure next March fast approaches, and agreeing the shape of future ties. The summit also focuses on the plight of people crossing the Mediterranean Sea after Italy’s anti-migrant government recently denied entry to a number of rescue ships, endangering lives and embarrassing its EU partners. Both challenges have raised disturbing questions about the viability of the EU, and Europe’s inability to manage migrant arrivals — statistically minor compared with the numbers being hosted by Jordan, Lebanon and Turkey — has fueled far-right support in ballot boxes across the bloc. Tusk, who chairs the dinner talks Wednesday and informal sessions on Thursday, wants the 27 leaders — minus British Prime Minister Theresa May — to spell out just how detailed they need an agreement to be on future relations, and whether any wiggle room should be left for last-minute negotiation with London. He also expects them to underline the need for a failsafe mechanism to ensure that goods, services and people flow freely between EU member Ireland and the U.K.’s Northern Ireland after Brexit. The leaders are expected to agree to meet again in mid-November to sign Britain’s withdrawal agreement, hopefully leaving enough time for parliaments to endorse the deal. 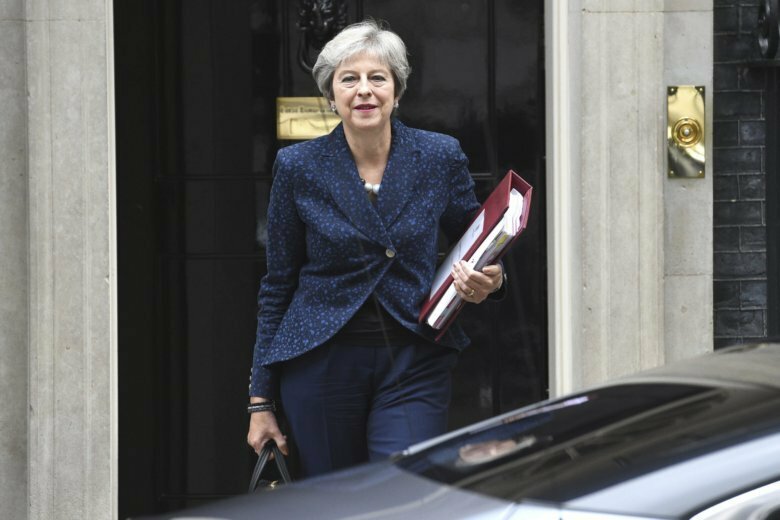 May’s Conservative government remains divided over how close an economic relationship to seek. She wants to keep Britain aligned to EU rules in return for free trade in goods and an open Irish border. But EU leaders insist that London cannot cherry-pick the best parts of membership and avoid the costs and responsibilities of leaving. Still, Tusk believes that in the weeks ahead “if we all act responsibly, we can avoid a catastrophe” of Britain crashing out without a deal. Tusk also wants the leaders to turn the page on a summer of tension over migrants in the Mediterranean. “I am hoping that in Salzburg we will be able to put an end to the mutual resentment and return to a constructive approach,” he wrote in a summit invitation letter. Leaders will be asked whether they want to fast-track a plan to beef up the EU’s border agency to 10,000 personnel by 2020. Guards would have powers to check ID papers and stamp travel documents, detain people crossing borders without authorization and help deport those refused entry. Many nations deeply oppose having their borders policed by staff from other countries. The summit will also focus on suggestions to screen people rescued at sea in ships off-shore or to deposit them in any country in northern Africa that might be willing to take on the responsibility in exchange for funds and other incentives.